Flutewise Club and reviews — Flutewise Live! Last week we had our first Flutewise Club here in not very sunny Portslade. It was quite a small affair as I hadn’t really advertised it, but it was extremely pleasant. The cake and biscuits were particularly good :) No, seriously, so was the flute playing. After a scale warm up game everyone had a go on playing the alto and bass flute and the piccolos as well as my black grenadite flute made by Guo. To get a feel for these flutes we played through an arrangement of Greensleeves several times. We had a go at some yoga breathing exercises that are illustrated on Practice Room Yoga. The videos on that site are worth checking out. SmartMusic is something else we had a look at. If you don’t know this product I urge you to have a look. It is extremely popular it the US but although it has been around for years, it has never really taken off in the UK. I’d love to know why. It’s an excellent practice tool. 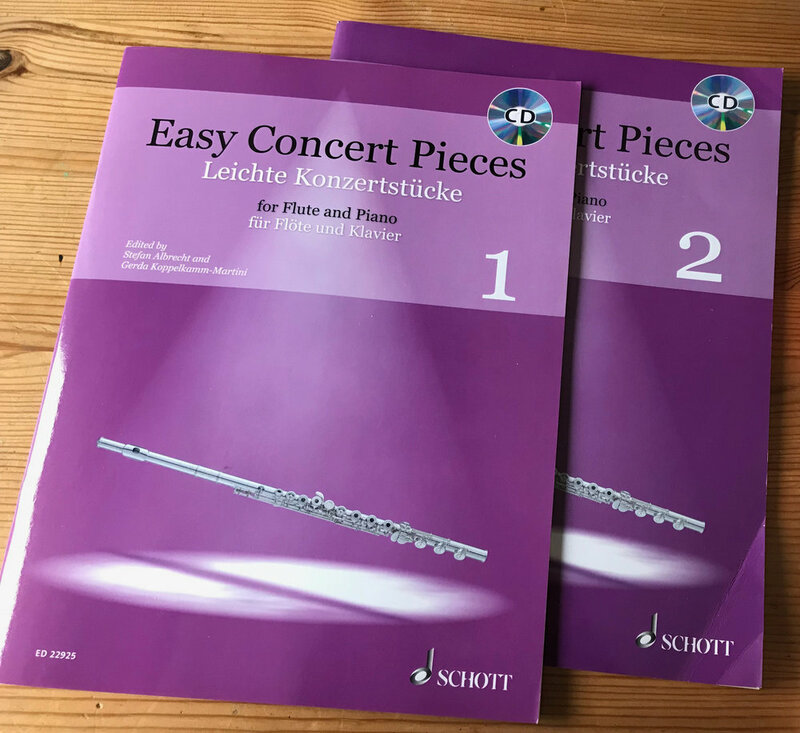 I often get sent music for review and I thought this was an excellent opportunity to do this from a different angle - get young flute players to tell us what they think of new publications. You can see their responses at the end of this post. We finished the session by having a go at Pink Panther and then some rounds from Eight Rounds by Johow, published by De Haske. They are excellent. I’ll be announcing new dates for 2019. Maybe you would like to join us. We had one girl planning to come all the way from Bulgaria but unfortunately her parents couldn’t arrange suitable flights. I think she’ll be coming along sometime soon and local families have offered to do some social activities with her, so if you have a little way to travel we can include you! Thanks to all of our young reviewers, they got to take the music home forever. Photos of the covers of the books mentioned and others can be found at the bottom of the post. Using lots of ties and quavers so more interesting to read. Why a student part and teachers? Student should be able to play as well or student part is not as good as teachers.